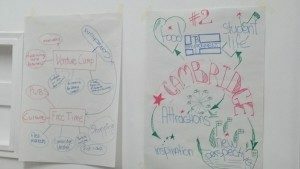 What is Cambrigde Venture Camp? 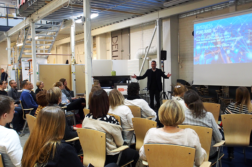 Cambridge Venture Camp is a business idea camp for students in four Finnish universities of applied sciences, arranged by Laurea Entrepreneurship Society. HAMK, LAMK, Laurea and KYAMK are the universities of applied sciences attending. 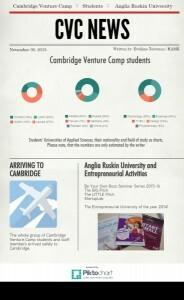 HAMK students and staff members have been attending Cambridge Venture Camp for a couple of years. 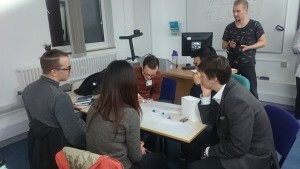 This year it was my turn to attend Cambridge Venture Camp “CVC” as a role of a staff member with a couple of HAMK’s students with their business ideas. CVC was held from 30th of November until 5th of December. 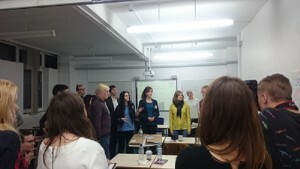 This time there were students from Finland, Taiwan, Russia, Pakistan and Germany. Students were from different fields of education, such as Construction Engineering, Design, Business and Physiotherapy. This blog report my experiences from the trip and highlights the most interesting topics or ideas. ship. Anglia Ruskin University has been selected as the entrepreneurial university of the year 2014 and they were really proud of it. Baldry presented us four interesting ARU’s activities concerning entrepreneurship and one of those was StartupLab. 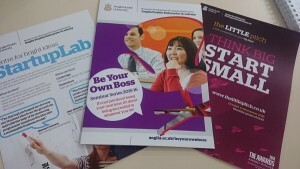 It is a space which is dedicated to students with their business ideas. In StartupLab students can test and develop their ideas, get mentoring support and guidance and most importantly networks. Would our university of applied sciences need that kind of concrete room also? Where it would be located and who would be responsible for it? Other implementation was The Little Pitch and The Big Pitch -competitions, from which I liked the idea of the first one the most. The Little Pitch is a business idea competition, where all that students have to do is to create a great idea for a business and promote it online only with a 140 characters. Just like a tweet. With that, students can win a monthly prize of 140 pounds. 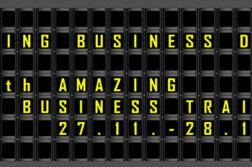 The Big Pitch is more of a traditional pitching competition with video pitches, boot camps, final and a big prize. The fourth activity was seminar series, which will be discussed later when we are attending one of those seminars. 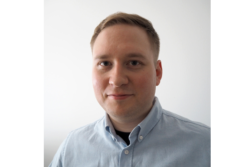 IB part-time student Vesa-Matti: These studies suit everybody regardless of age!